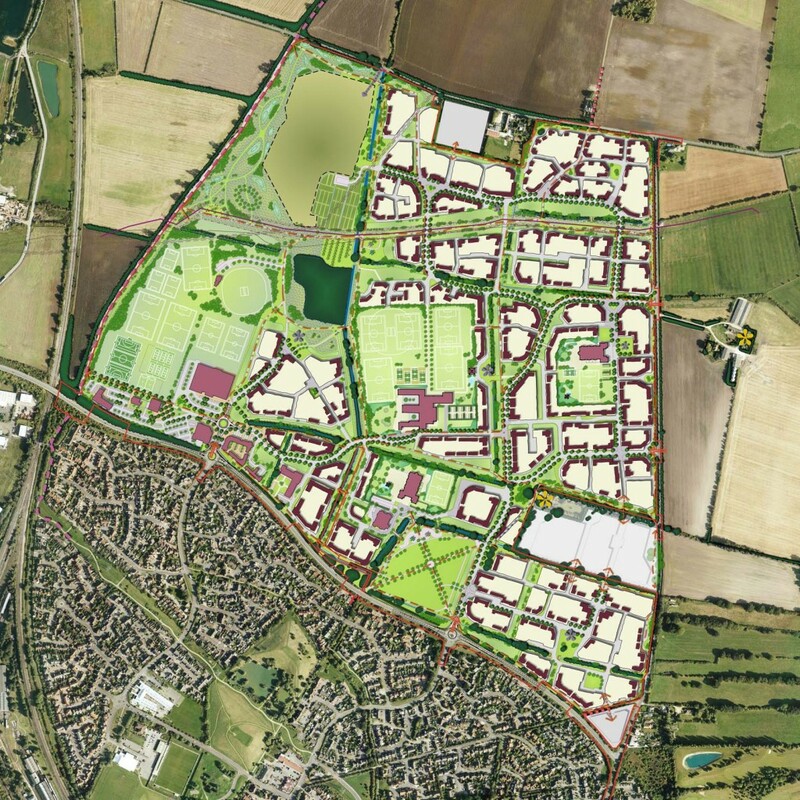 CSA worked on behalf of the University of Reading and Croudace to prepare a Masterplan for 1,880 new homes at Didcot in Oxfordshire. The Masterplan accommodated a range of other uses, including a new secondary school, two primary schools and a new sports centre. CSA’s urban designers worked closely with the local community and the District and County Council’s to produce a Masterplan that provided over 53 hectares of green infrastructure. The masterplan for the development had to overcome a number of design challenges, which included on-site flooding issues, the need to maximise integration with the existing settlement edge and to work around a number of utilities that cross the site, including an underground high pressure gas main serving a nearby power station. CSA have been involved on the project since early 2011 and the development received a resolution to grant outline planning permission in August 2016.